My apologies to those outside of the U.S., but our annual dose of March Madness has begun here. The NCAA men’s basketball tournament is in full swing, as the field will be set by Wednesday evening; at that point, the four teams that have to win their way into the tourney will be determined. And then… the madness ensues through April 2, when the national champion is crowned. 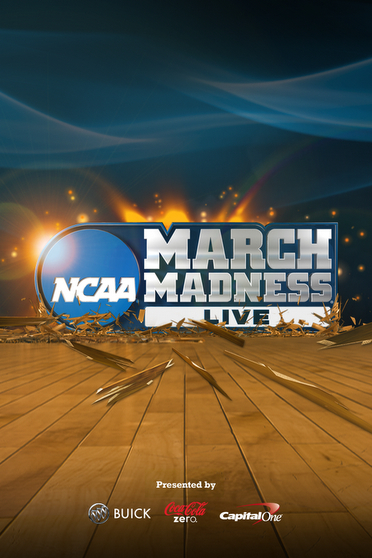 NCAA March Madness Live (Android(s goog), iOS(s aapl)) — This app is free, but with a catch. The no-cost version offers stats, scores, alerts and live game radio for all 67 games. To actually watch the live broadcast of any and all games, there’s a $3.99 in-app purchase upgrade, as noted by my colleague Janko Roettgers. Four bucks isn’t a bad investment if you’re on the go and consumed by the madness, but for some, the free version with game radio might suffice. Note that the Android version is only officially tested with certain handsets — thanks, hardware fragmentation — so check the list or try the free version on your device before plunking down that $3.99. Brackets (Windows Phone) — It’s difficult to find good March Madness apps for Microsoft’s Windows Phone(s msft) platform, but I like the looks of Brackets. The functionality is limited and simple, but perfect for those participating in a March Madness pool. The software does one and only one thing: it keeps track of your NCAA picks in a bracket format; helping you see which teams you correctly picked. There’s a nice Live Tile for Brackets that shows how many current picks you have correct out of all completed games. PocketBracket (Android, iOS, Windows Phone) — Similar to Brackets, this $0.99 app helps you keep track of your NCAA pool picks. It also offers real-time stats and scoring updates in case you can’t wait to see your bracket updated. The best part? You can create brackets and invite others to compete with you via e-mail, Facebook or Twitter. And because the app is supported on multiple platforms, chances are your friends can join in from their mobile device. SportCaster (Android, iOS, Kindle Fire) — Like most of the other apps, SportCaster provides scores and updates from the NCAA Basketball games. However, it adds a social component not easily found in competing apps. 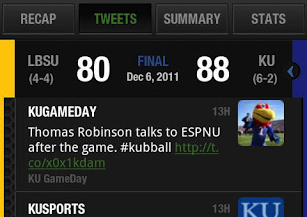 During the match-ups, any relevant tweets from Twitter are pulled into the app, allowing users to provide commentary or have discussions about the game in progress. And the free software isn’t useless after the NCAA tournament as it supports multiple sports, such as baseball and soccer. Plus, there’s even a version in Amazon’s(s amzn) App Store for Kindle Fire tablets. I downloaded math madness app and a $9.99 charge came up on my AT&T bill! Why is that when it was suppose to be free?? I downloaded a NCAA march madness app on my phone that was suppose to be free! But now I have a charge on my AT&T bill for $9.99! Why is that? http://www.pickmybracket.com is pretty sweet too!